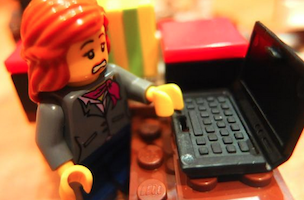 AllTwitter: A woman created a Twitter account for a collection of Legos. Not only that, but people are paying her to run it. The world is a weird place. GalleyCat: NASA is behind an exhibit dedicated to Marvel super heroes. Good to see the space agency is putting its money to good use. FishbowlDC: The administrator of the U.S. Digital Service enjoys khakis.